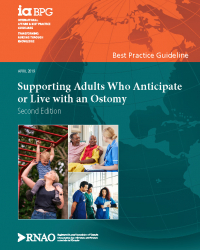 Supporting Adults who Anticipate or Live with an Ostomy is a best practice guideline (BPG) that provides nurses and the interprofessional team with evidence-based recommendations for the most effective strategies to support adults (18 years and older) who anticipate or live with an ostomy. The purpose of this BPG is to (a) promote self-management, (b) enhance access and delivery of care, and (c) lead to positive health outcomes in adults who anticipate or live with an ostomy. The BPG has 6 evidence-based recommendations that address the following: access to Nurses Specialized in Wound, Ostomy, and Continence (NSWOC) to support comprehensive care, the need for a standardized ostomy care program within health service organizations, guidance on the prevention of parastomal hernias, and quality of life assessments in adults who anticipate or live with an ostomy. This BPG can be used by nurses across the continuum of care and in all domains of practice—such as clinical, research, education, policy, and administration—and members of the interprofessional team. It can also be used by organizations in which they are employed. 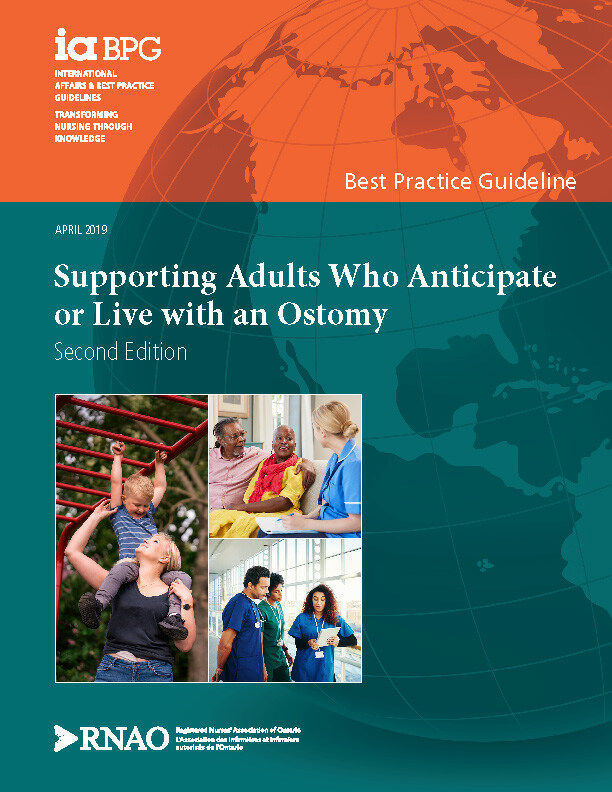 The evidence-based recommendations in this BPG are applicable to all practice settings where adults who anticipate or live with an ostomy are accessing services (such as, but not limited to, acute care, long-term care, community settings, and rehabilitation settings).